Gareth Tate is a wilderness medicine instructor and sponsored kayaker from Truckee, California. But he also fills his days serving as a videographer and team manager for Adventure Technology Paddles and Bomber Gear. While Kayaking (whitewater and sea kayaking) clearly ranks as his first love among outdoor sports, he’s also an enthusiastic mountain biker and backcountry skier. We caught up with awhile back to get some idea of what he packs when he heads out. Gear Institute: Hello Gareth. Between work and play (and work-play), you are a busy man. What currently has you jumping? Gareth Tate: Last week I was able to go on an overnight sea kayak surf trip, paddle class 5 water, mountain bike, and ski four days in a row on fresh pow in the backcountry surrounding lake Tahoe. Later this year I plan ski-mountaineer my way to the summit of several 14,000-foot peaks in the Sierras. I also hope to explore some new (to me at least) backcountry in Utah, Colorado, and British Columbia. Come spring, I’ll be sea kayaking along the Alaska coast and skiing some of those coastal peaks, then I’ll head back to the Sierra for some remote river kayaking—the Middle Kings is on my list—followed by a paddle around Vancouver Island this summer. Gear Institute: That’s a lot of travel on your schedule. When you head out on those trips, what gear do you ALWAYS bring with you? Tate: Because I’m out in remote areas, whether mountains, rivers, or oceans, I always have a SPOT locator device and a quality first aid kit. I also love breathability of the Polartech’s NeoShell fabric and always have at least one of those softshells along. 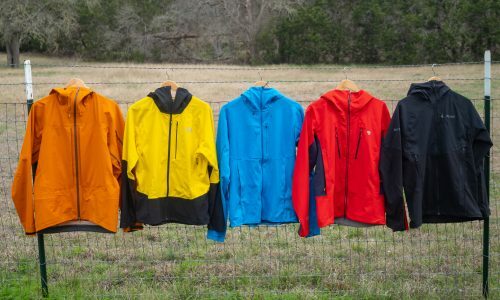 Gear Institute: So you prefer softshells over hardshell jackets? Tate: Yes, softshell all the way, because when I am out I am very active and I need a shell that is flexible to allow unrestricted movement and breathability. That makes a huge different in allowing me to thermo-regulate in dynamic environments and activities. Gear Institute: That makes sense. Okay, what else is always going on trips with you? Tate: I try to record all my adventures, so I carry a GoPro Hero 4 all the time. I am actually stoked right now on the trend of social media news and online video attention span. At first I thought it was a huge bummer—and as far as health to society it still may be—but as a media producer, I love the fact that it is so cheap and easy to create exciting short videos with cheap GoPros. Making videos and spreading them around the internet has made the professional athletes job a whole lot easier then it used to be. Gone are the days of 6-month video projects that took way more time inside behind a computer then out playing. Now I can play almost constantly and with a GoPro I can throw together short easy edits in the evenings that get those clips spread out via social media nearly instantly and for free! Who know where it will go but it is cool right now. Gear Institute: That’s great. Of course, as a sponsored athlete you also have access to a ton of gear from those companies. Let’s give them a brief shout-out. Tell us what your sponsors offer that you really love. Tate: I really love my AT Duraweave Paddle (reliability, low weight, great blade and shaft design). For seea kayaking, I stick with my Dagger Alchemy. It is a super fun boat. It’s a playful sea kayak built on whitewater roots—I love it for for short weekend trips or just playing in the surf. When I hit whitewater, I turn to my Dagger Mamba. It offers great storage with a an excellent hull design and killer outfitting. 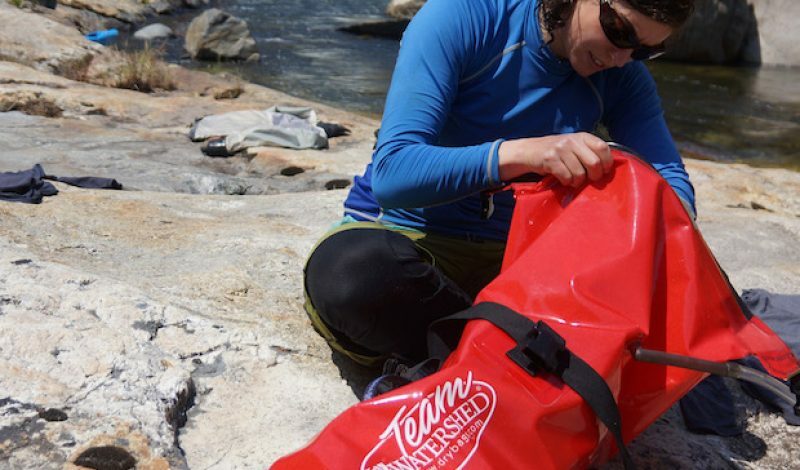 I load all my gear into Watershed Dry Bags. I think they are the best option on the market for protection of gear.